EDM was the foundation the company was started on. 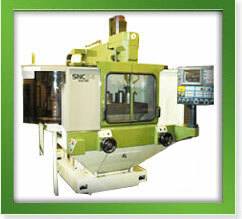 We now have 5 cnc ram EDM’s with capacity up to 4 feet x 10 feet. Charmille Roboform 40 – 4 axis CNC EDM Machining center, Programmable “C” axis (rotating spindle) and 24 station electrode changer; X=19.7″, Y=15.7″, Z=17.7″ travel, 128 amp power supply, 220 lb. head capacity and 2200 lb. table capacity, +/-.0002 tolerance. Charmille Roboform 50 – 4 axis CNC EDM Machining center, Programmable “C” Axis (rotating spindle) and a 24 station electrode changer; X=23.5″, Y=16.0″, Z=17.7″ travel, 128 amp power supply, 220 lb. 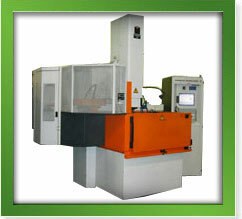 head capacity and 2200 table capacity, +/-.0002 tolerance. Sparcatron CNC EDM – 300 amp power supply with 50″ X 130″ travel. EDM Solutions CNC EDM – 300 amp power supply with 44″ X 80″ travel. Small Bridgeport Type EDM – 128 amp ERM power supply. 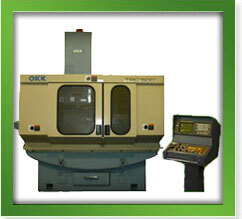 OKK TRC-500 High Speed Graphite Milling Center – FANUC 16-M Control; 6-Station Tool Changer; X=19.7″, Y=15.7″, Z=11.8″ travel, 12,000 RPM spindle, positioning accuracy of .0002. 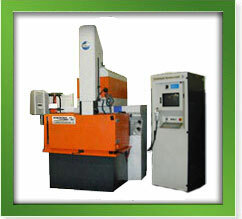 Makino SNC-64 High Speed Graphite Milling Center – Fanuc Pro A control; 15-station tool changer; X=23″, Y=16″, Z=16″ travel, 20,000 RPM Spindle, positioning accuracy of .0002. Okamoto – 6″ X 12″ manual surface grinder; SONY digital read out .0001 graduations. Starret Pink Granite Surface Plates (inspected annually) with Mitutoyo Digi-Matic Height Gages .00005 Readout: .00002Resolution. Multiple sets of Gage Blocks (steel and carbide); Gage pins; one-tenth graduation micrometers, calibrated annually; one-tenth graduation Mitutoyo indicators.